"It Feels Eerily Like 2007" - DoubleLine's Gundlach Blasts Fed's "Unprecedented Reversal"
As the whipsaw in stocks and the dollar sank in today - while the bond market remains unimpressed by the machine's liftathon today - market participants are still shaking their heads at what just happened. 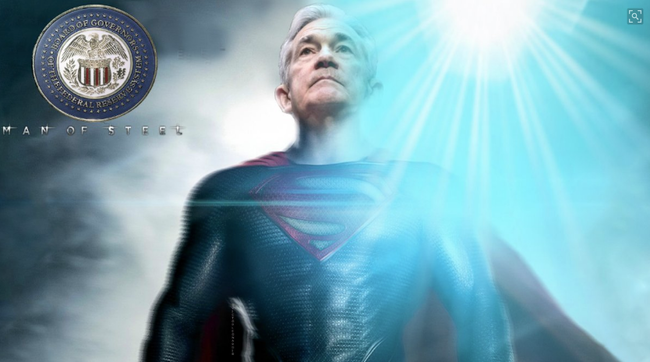 "Three months ago the Fed predicted totally different policy than where they are now. How can they predict 2020 policy with a straight face?" Three months ago the Fed predicted totally different policy than where they are now. How can they predict 2020 policy with a straight face? 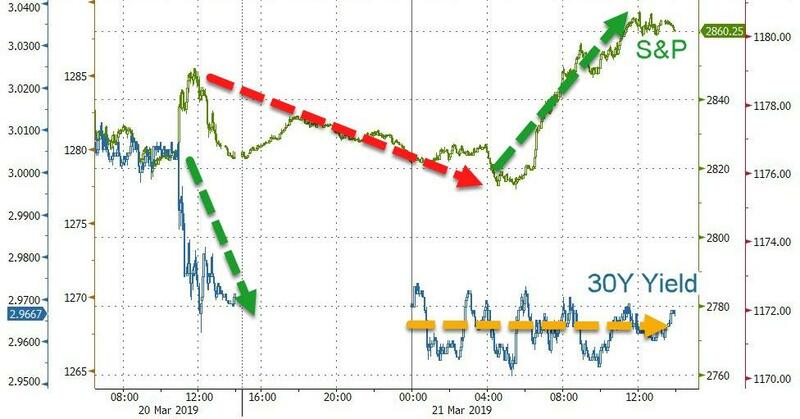 “This U-Turn - on nothing fundamentally changing - is unprecedented,” Gundlach said in a telephone interview. 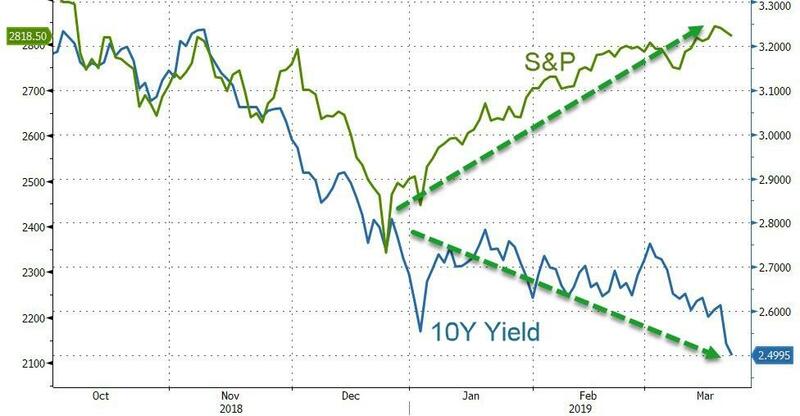 Gundlach, the new "Bond King" now that Bill Gross has 'retired', oversees more than $123 billion in assets (we offer that tidbit to suggest he is worth listenig to), said he feels the Fed’s massive shift in such a short period on quantitative tightening could hurt the U.S. central bank’s credibility. “They aren’t telling you what they are targeting. 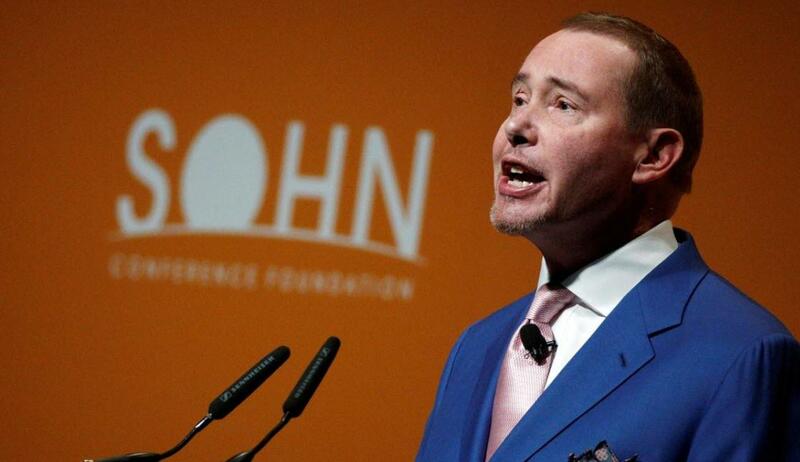 It’s like they aren’t really telling you what their motivation is,” Gundlach said. Gundlach, who correctly predicted the S&P 500 would post negative returns in 2018, said the benchmark index is set for another negative year. “It feels eerily like ‘07,” he said. Which is perhaps why Gundlach said he favors a plain-vanilla Treasury fund investing in maturities of one to five years.